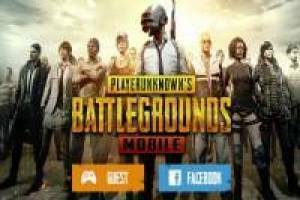 Now you can get the version of PUBG Mobile by downloading the following file from your mobile or tablet. Without a doubt, the Battle Royale that is most successful on mobile platforms is the version of PlayerUnknow' s Battlegraounds that has been running for five seasons and continues to improve day by day. Now you can enjoy all the fun of PUBG on your mobile or tablet, being the only platform that has this game for free. To run the game, you will need a rather normal specification, not needing a big mobile as if it happens with Fortnite. Jump from the plane and start your adventure in PUBG Mobile with your Smartphone or Tablet. Enjoy the game PUBG Mobile, it's free, it's one of our PUBG games we've selected.